The Latina/o Bar Association of Washington Scholarship Foundation (LBAWSF) supports scholarships that encourages education of Latino students. The LBAWSF aims to provide scholarships each year to deserving law students from each of the three law schools in the State of Washington. Several scholarships are available. One scholar will be selected to receive the Bracewell & Giuliani Scholarship which includes a $5,000 award. Recent scholarships have included both cash scholarships of at least $1,500 or a bar prep course for third year law students. Scholarship applicants are selected based upon their application, personal statement and declaration of financial need. To complete a the scholarship application, click here. A declaration of financial need must also be completed. Public interest law students should also consider applying for the $3,000 Alena Suazo Scholarship. The Alena Suazo scholarship is awarded to a law student committed to social justice work. To apply, please provide a personal statement, no longer than 5 double-spaced pages, describing your reasons for attending law school and experiences working with marginalized communities and/or fighting injustice and oppression. Click here to download the application. Applications should be emailed to alenasuazofund@gmail.com or addressed to Alena Suazo Memorial Scholarship, c/o La Rond Baker, 901 Fifth Avenue, Suite 630, Seattle, WA 98164. If you have any questions, please email alenasuazofund@gmail.com. Applications are due January 4, 2013. 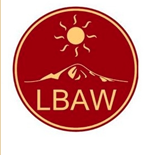 All scholarship recipients will be announced at the Latina/o Bar Association of Washington (LBAW) awards dinner, to be held on January 18, 2013. Application deadline is Monday, January 7, 2013. The Arthur C. Helton Fellowship Program offers “microgrants” that support field work by law students and young professionals in international human rights law. 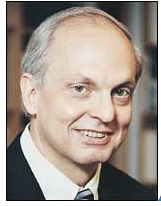 The Fellowship was established in 2004 by the American Society of International Law (ASIL) in recognition of the legacy of Arthur Helton, who died in the 2003 bombing of the UN mission in Baghdad along with UN High Commissioner for Human Rights Sergio Viera de Mello and 20 others. For details and application, click here. As indicated in these profiles, Fellows have worked all over the world— Afghanistan, the Democratic Republic of Congo, Cambodia, Haiti, Kenya, the Czech Republic, India, Ireland, Egypt, and Ecuador, to name a few countries. The deadline to apply is January 7, 2013. Applicants are considered to apply early. Only the first 50 applications will be read. 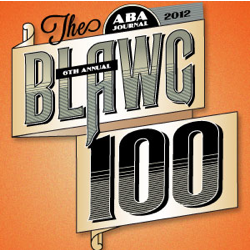 Check out the ABA’s recently published law blog hall of fame, featuring its favorite 100 blawgs. Note to Readers: This post comes a day late according to our Common Good blogging schedule. We apologize for any inconvenience.